Home Belfast Bars. Famous Bars in Belfast Northern Ireland. Belfast Bars. 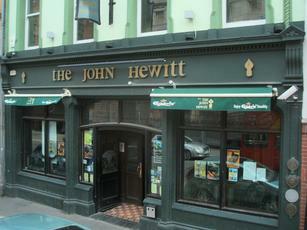 Famous Bars in Belfast Northern Ireland. Belfast bars, one thing you can be sure of..there are lots of them to choose from. If you want to meet the locals then the bars are a good place to start! 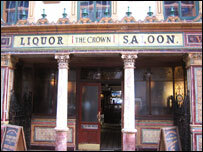 This famous bar in Belfast has been around since 1826. It was formerly a coaching inn for travellers. The ornate victorian interior owes its grandeur to the work of visiting italian craftsmen (working on local churhes)who crafted stain glass windows and ornate woodwork carvings. Make sure you smile when inside, as the bar has an internet web cam, for your family and friends back home to see you enjoying yourself.A popular bar with tourists,locals and visiting celebrities. A lovely traditional bar, with an open fire and live music sessions (ranging from irish to jazz,blues etc. )Food served and great evening entertainment.Located in the heart of Belfast’s Cathedral Quarter.